•	Only one entry is permitted per account. •	Entries should be submitted to the MAD/AMV animation category and should meet its basic regulations. •	Only original work of the entrant is eligible. 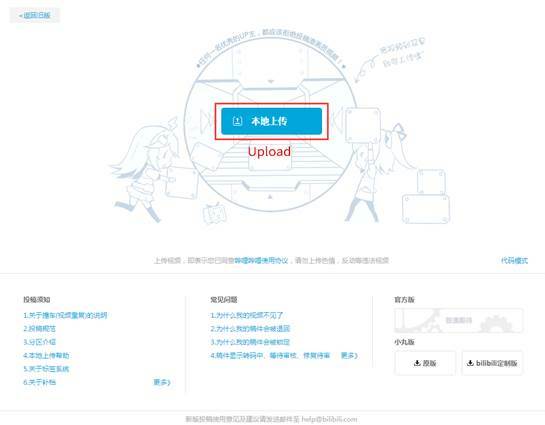 Videos which are not owned by the entrants, or are made on behalf of others, or have been previously published on the internet are strictly forbidden. •	Entries should be at least 1 minute long (excluding the opening and closing), with resolution of at least 960x540px. •	Official watermarks should be embedded throughout the entire video until the competition results have been released. •	All entries will be displayed anonymously. Information of individuals or groups should not be included in videos or descriptions, or else the entry will be disqualified. You are allowed to replace your videos with new source files containing your information only after the competition results have been released. •	Source materials should be listed at the end of the videos with information such as titles of anime clips, names of background music and singers, etc. Video and audio clips from unknown sources are prohibited. •	[Mad大赛2016] should be added at the end of the title. •	Entries are owned by the individual entrants. Winning entries can only be verified through the accounts that are used for submission. Entrants who prefer to submit as a group can create a group account for publishing group entries. •	Anyone found publishing the entry on other websites before the start of public voting on 13thAugust(GMT+8) will be disqualified. •	Entrants will be notified if there is any unrelated content caused by the errors of source files or secondary compression. Replacement of source files will not be allowed from 18:00 on 9thAugust(GMT+8) till the end of the contest. 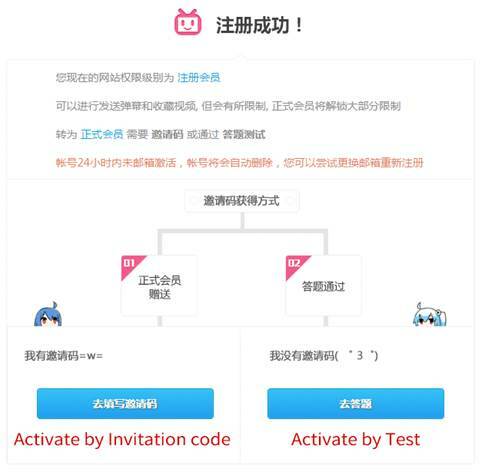 Please check your status of entries in "submission management" in time. •	Due to certain regulations, entrants should avoid using materials that are controversial or politically sensitive. •	The entries should be non-series work. Those contain features of series work (e.g. logo) will be regarded as ineligible. •	The entries should be of good quality or otherwise may be rejected. 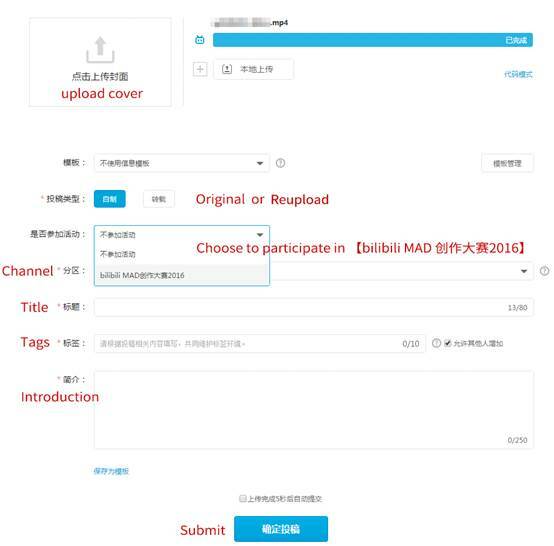 You may modify your entries or choose to quit the contest and publish directly. 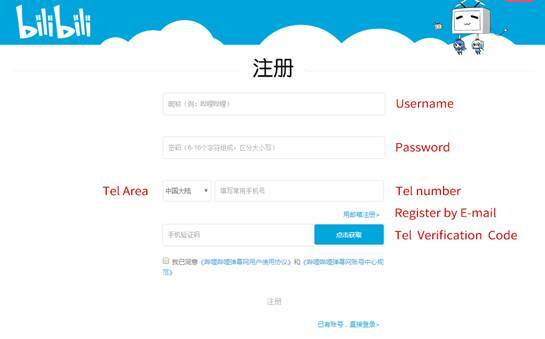 If you are the member of AMVNEWS , you can contact 233@bilibili.com with your user profile screenshot for an invitation code. 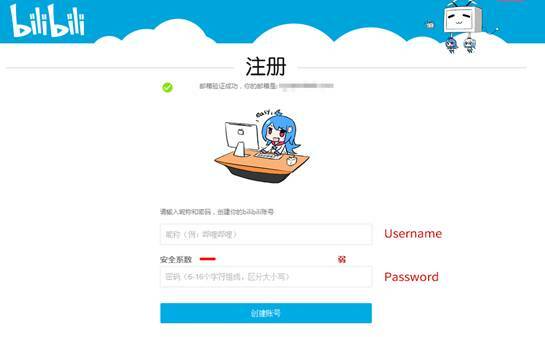 If you have any problems with the registration process, please contact 233@bilibili.com. This is great! Probably the most rewarding AMV/MAD contest ever. I may join if I have time. It wasn't mentioned anywhere before and I just completed my character profile vid on Kaneki and Rize. I believe this is mainly the second season, BUT YOU CAN USE 30 SECONDS OF FOOTAGE from the second season.